Aging in place happens whether we, as aging in place specialists, get the opportunity to help people do this or not. Nevertheless, the more we understand the needs of people as they remain in their homes and attempt to relate to them and assist them in adapting to the living environment in which they find themselves, the better prepared we are going to be to assist them to have happy and productive lives. One of the ways we do this, regardless of what our main profession or calling is and irrespective of how many hats we might wear, is by enlisting the help of occupational and physical therapists to assist us in connecting with the client and relating to them in a meaningful way. 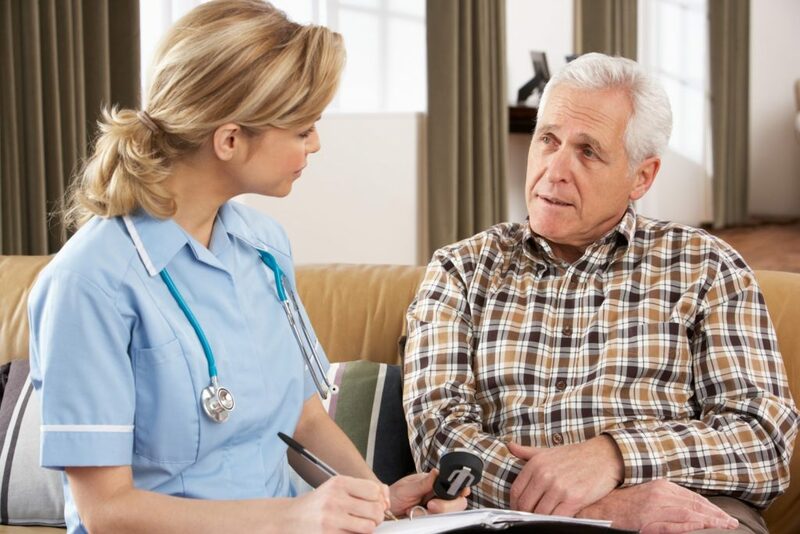 Therapists are an essential go-between in the continuum of effective aging in place design with the remodeler or general contractor (or other construction professional) creating the renovations and the designer, consultant, or other non-construction adviser to the process adding their input. The therapists help interpret the needs of the client and translate them for the team members into an action plan. Speaking of occupational therapists, the month of April is National Occupational Therapy Month (October is National Physical Therapy Month). Therefore, we want to focus on the contributions occupational therapists make to our aging in place programs and how invaluable (along with physical therapists and similar health care professionals) they are in helping us to analyze, create, and deliver the effective solutions for our clients. Good design for our clients doesn’t just happen. There is no website, no textbook, no encyclopedia, or any compendium that focuses on the ideal aging in place design that we can refer to and use for the simple reason that there is none – and can’t ever be. Each design and every solution is unique, custom- tailored to the specific needs of that client and how they relate to their living space. It’s on a case-by-case, needs-determined, client-centric basis that we create and implement our design solutions. Occupational therapists focus on a person’s essential needs – their activities of daily living. These skills are what enable a person to remain living independently on their own. They include such life skills as someone being able to get up and out of bed each morning on their own without intervention or assistance from anyone else, to walk on one’s own and to sit down and rise, to be able to shower or bathe without assistance, to use the toilet without any help, to brush their teeth and groom themselves (shave as a man and comb or brush their hair), to find clothes to wear and dress themselves, to feed themselves (without necessarily preparing anything for the the meal that isn’t ready in advance), and to go to bed on their own and be able to return to sleep. Performance of these skills by someone – all of them – are what occupational therapists are looking for in deciding whether someone can live independently. To the extent that they need some assistance with any of these activities, and this help can be provided by paid or volunteer caregivers or family members (or caring friends or neighbors), people can remain living in their homes semi-independently. When or if it becomes more that can be dealt with in the home environment, outside placement may be necessary. However, we want to do all that is within our power and ability to satisfy a person’s needs in their home environment and keep them living at home. Aside from these basis life skills, which are not a measure of whether some is going to live or not but only in their ability to care for themselves and remain independent at home, occupational therapists evaluate other aspects of a person’s condition and help the rest of us aging in place specialists address those specific needs. We are concerned about their mobility, sensory, and cognitive abilities. In addition to being able to perform their basis life skills, we are interested in how well someone can navigate their home, reach and control objects within their home, see well enough to avoid unnecessary mistakes or missteps, and generally maintain themselves in a safe way. Falling is not a safe activity so clearly we want them avoid any type of accident of this nature. As we launch a month long observation of the contributions that occupational therapists make to our aging in place assessment and design efforts and the importance of their role in the process of creating effective solutions for our clients, we should make sure that we have included them as part of our strategic network. We need their help to be effective – them and other health care and related professionals.